Dr. Christine Marsick, a physician with Visiting Nurse Association of Ohio’s Hospice Care Services, said it is vital that caregivers tend to their own needs to ensure that the time they have with their loved ones is of the highest quality. Physicians prescribe hospice care for patients whose condition is deteriorating and treatment is no longer effective. Hospice is indicated when the prognosis given is less than six months. But, a prognosis is just a guideline, and patients often remain in hospice care far beyond expectations. Once a patient has been referred to hospice, VNA of Ohio’s hospice team of nurses, aides and therapists make regular visits to the home to provide care and treatment. VNA of Ohio also offers private-duty homecare services ranging from a few hours per week to round-the-clock care. Is Respite Care an Option for Your Family? But, respite care also is available for families who are unable to afford private-pay options. Hospice patients who receive Medicare are eligible for five days of respite care in an approved facility, such as a hospice in-patient facility, hospital or nursing home, at no cost to them. Medicare approves hospice for a period of 90 days. When that period expires, the patient is reevaluated and approved for a new term of 90 days. After that, approval is made for 60-day terms. A five-day respite-care benefit comes with each new term. 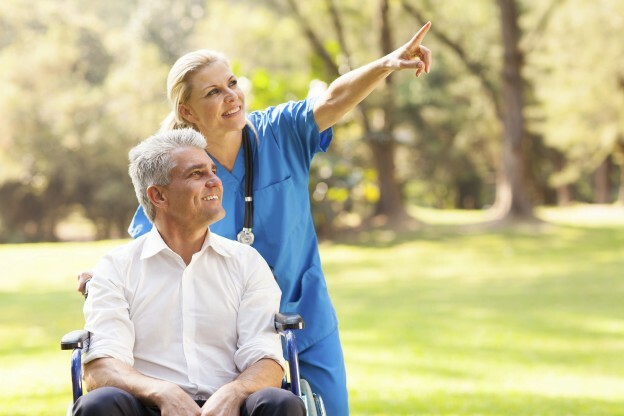 VNA of Ohio helps patients and their caregivers find the right care facility for the respite stay and handles all arrangements, including transportation to and from the care facility. Marsick said most families are unaware of this benefit when they first engage hospice services. Often, caregivers are reluctant to accept the help. But, Marsick said, she tries to make them understand that they will be more help to their loved ones – and will be better able to enjoy the time remaining – if they take the opportunity.